Persuasive: The black-eyed children gain advantage on any charisma check to persuade someone. Melee Attack—bite: +0 to hit (reach 5 ft.; one creature). Hit: 3 (1d6-1) piercing damage. Ranged Attack—drain life: +3 to hit (range 20/60 feet. ; one creature). Hit: 9 (1d12 + 2) psychic damage. 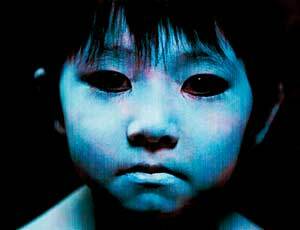 Black-eyed children often travel in pairs and try to get victims to take them home where an unspeakable fate awaits.